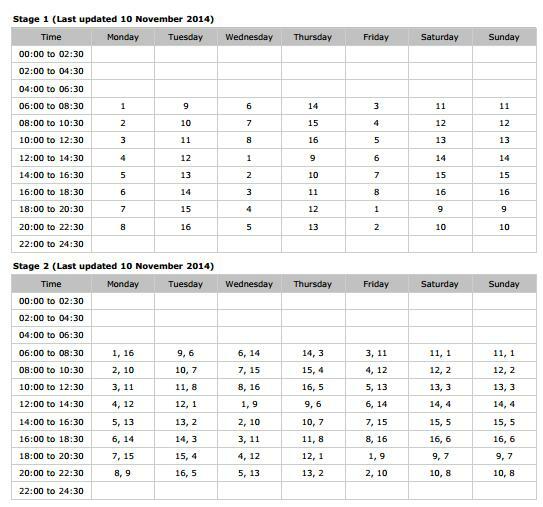 CAPE TOWN’S NEW LOADSHEDDING SCHEDULES CAME INTO EFFECT FROM 1ST FEBRUARY 2015. CLICK HERE. Loadshedding is back and once people realise this, the official City page will be inundated, will crash again and you, the information-hungry public, will be left in the dark, both literally and metaphorically. Never fear: we’re here to help. Simply find your area’s number on this handy map – and then check out the images below to see when you can expect to be powerless. To find out what stage loadshedding we’re on: check the red box on this page. Hopefully, if we all do our bit, we can avoid the obvious nastiness of Stage 3, in which there’s almost as much darkness as light, although of course, it needs to be noted that if we didn’t have a mountain named after Lucifer overlooking our city, none of this would ever have happened. 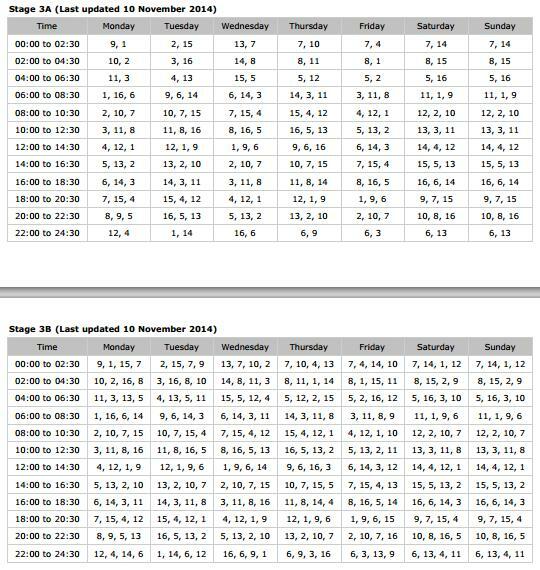 EDIT: If you’re not on that map (like Table View), you’re supplied directly by Eskom, not the City and you need to go here to find your schedules. Next Next post: Remember 2010…?